This is an Index to people stating Greece as their place of birth in the 1871 England Census. I have done my best to transcribe this information accurately. I would encourage you to look at the original records wherever possible - there may be other people of Greek descent included in the original records that are not transcribed here. Also included are possible Greek names born in Turkish territory. Use this Index as an additional tool that may be of help in locating those hard to find ancestors. 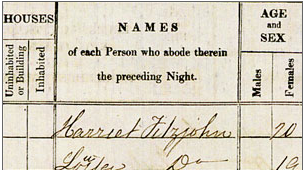 As in all Census records and indexes - many of the names are not spelled correctly - either by the census taker or by the person typing the index, so keep an open mind.